molly moon's homemade blog: Maple Bacon is Here! Bacon lovers rejoice! 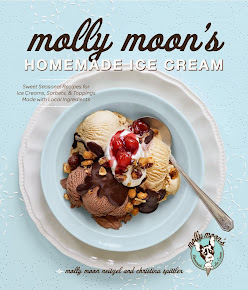 You have waited patiently for an entire year, and now the time has finally come to reward yourself and satiate your porcine cravings with a scoop of Molly Moon's Maple Bacon Ice Cream. This year, we partnered with The Swinery in West Seattle, where their delicious, hormone-free, and sustainably-raised products are made using premium pork from Carlton Farms in Carlton, Oregon. Since 1956, Carlton Farms has been promoting conscientious and humane meat production and we support their commitment to sustainability and philanthropy in the Northwest. The Swinery cures and smokes the bacon in-house, then we candy it to crisp perfection with local brown sugar and local, organic butter. Paired with our local, hormone-free dairy and organic maple extract from the forests of Vermont, this seasonal treat is truly a sweet and savory joy. Stop in at one of our four locations and enjoy a scoop both your conscience and your taste buds can feel good about. Act fast because it won't last long!